Neetu finished her story with a sigh; a sigh of a long pertaining echo of anger and rage, of helplessness and loneliness and of brutal and inhumane act. Having heard the story, I gulped back my emotions and did my best to wear a smile, a smile to appreciate her journey through all the nuances. But I was rather stunned by the conviction and ease with which she held her composure and finished her story in the most subtle way. Neetu is one of the eight women working in Sheroes Hangout, a restaurant in Agra that provides the acid attack survivors with a mean to re-live their lives, a moral support to rise and grow and a decent way to outlive all the rages and brutality that society once poured onto them. It started as one of the outcomes of an awareness campaign #StopAcidAttack on 8th March 2013. The other being Chhanv foundation which serves as a bridge between the survivors and society. … A sudden halt to Neetu’s story and the air seemed standstill, with every elapsed second spanning to uncomfortable extents. … I paused, dumbstruck and was not able to find the right words to speak out. I wondered about life for a second, as to how it leads a person through outbreaks and breakthroughs in its short span. Breaking the cobwebs of my inner self and the uncomfortably still air, I pointed towards the menu and the various photographs hanging on the wall. She added, indicating to one of the pictures there, ‘Akhilesh Yadav Sir, the then CM also visited us, appreciated our effort, promoted our campaign and gave a plot of land for two years in Lucknow to operate another Sheroes Restaurant. We are really grateful for his generous gesture. But… since the two years of time has elapsed by now, I guess we have to shut it down, and the lives of all 12 sheroe-ian will return to its primordial plight. I wonder how… ’ and she stopped amidst. I realised what might have caused her to stop and hence I didn’t ask further. A cluster of emotions and thoughts preoccupied my mind. At this very moment when people are complaining about the poor Instagram filter for failing to mask their pimples, or the curry for being salty, or getting a mark less than the topper, or the car scratch on the bonnet, or the movie they have missed and what not, there are these brave souls at Sheroes who struggle every ounce of their existence for their identity and for bringing worth to their lives. The land where we poise the symbol of love, the Taj, do we really justify its significance? When we welcome millions of tourists from all over the world just to marvel this wonder and to become awestruck by the integrity that Shah Jahan beheld for his beloved wife, a daughter, a sister, a woman, have we really extended our gestures to all the love-deprived and terror-stricken people? Is it a metaphorical coincidence to be in the juncture of what is being believed and what is being bestowed? Isn’t it? Does it feel strange to just pause for a second from our productive, prosperous and progressive lives and look back at our footmarks and then look ahead to the path we have chosen? Doesn’t it? You and I, me and you have sensed it then, now, here and there. Have we just shake our heads in prohibition? Haven’t we? It is a truth that lies at the tip of the nose, seen by many yet overlooked by self; a truth that is known to all yet to be reminded again; a truth that is louder than a scream yet inaudible to many. Now the truth has been told and portrayed as one of the biggest victories of good over evil, light over dark, humane over inhumane, justice over injustice, and love over hatred! Every Sheroe-ian is a spark of that truth, a glam of the victory and an inspiration to many. The best thing that I have learnt from these people is the way they have accepted reality. The lives of these people have shown that to live by the hardest way and to get a little less do not mean the end of our lives or do not decide its worth, it is the ethics we carry in hard times and the zeal to move past the adversities that decide the righteousness of our lives. The way they never lose hope despite being pushed by the odds, is a true inspiration to all. They are not just some people, they are ‘The Sheroe-ians’; an inspiration to many! Being a student what could be the worst time for you(?) than being broke so bad that your hostel dues is due for 10 days, and you stitch your shoe sole till you can afford for a new pair. I guess you can feel me folks! But the best outcome it has given to me is the ability to focus on my surviving skills, bringing the most out of what I have, and a much-needed inspiration and confidence to pen down on a blog post. Hence this being my first blog post. I am starting off the blog with the notion that you are fond of having crisp, spicy and masala-dar bites of snacks like chips, pakodhe, fries and so on till the taste buds say ‘Done!’. Ofcourse Why not? Dawned upon this very irony, while writing my post, I will be crisp i.e. to the point, spicy i.e. speaking of the hard truth, and of course sprinkling off some masala to it, cause some drama is always expected in a story-telling, right!? Disclaimer: The detailed significance and history of the monuments and places could be found in any google search results, so I left this on the reader’s part. The cheapest way to reach there, when you are in a budget, is of course by train. The railway connectivity to Agra is very good from Delhi and other parts of India, which provides a variety of trains at very frequent timings a day. Bookings can be done as late as a day beforehand. Trust me, we planned this trip on the afternoon of 29th Sep and got confirmation for the next day at 14.20 from Delhi. There are numerous number of hotel and lodges in and around Taj Mahal ranging from a rate of 300 per person to the luxurious Oberoi Hotel. If you can afford some effort to roam around, I bet you won’t regret. We stayed in a hotel at Baluganj (Near Baluganj Petrol Pump) that costed Rs.750 for a night. #Note1: Right after reaching Agra (bus stand or railway station), tempo drivers will approach you with great generosity and promises to get the cheapest hotel in the whole Agra. They will take you(read forcefully take you) to a hotel of their known which might not serve the very purpose of being in a budget. #Remedy to Note1: Do a rough background check on hotel prices near Taj, take any name and ask your driver to go there only. If he over smarts you and urges still, don’t exchange much words and avoid him instantly. Caution: They are very cunning and good with words! The restaurants there charge a bit more as compared to the usual prices we are accustomed to. One obvious reason could be the fact that almost everyone around is a tourist from nearby or far abroad. Though it is a personal choice of what to eat, I would suggest to eat light(Veg.) and stay healthy while traveling. Stay hydrated all the time. Don’t drink water from any other source than mineral water bottles or proper faucet. Places to visit: The list of places to visit in Agra is exclusively available on the internet. Out of them, I picked the following ones taking into consideration the budget and time constraints(personal constraint). It is good if you book a tempo for a day( Rs300-350 not more than that) if you want to avoid hustle under the scorching heat. Visit early! (Around 6-6.30)Otherwise, once the crowd starts flooding in, you will have to make great efforts to take suitable positions to click your ‘Dp wala’ picture. Keep a bottle of water with you. There are faucets inside where you can fill in once they are emptied. NOT ALLOWED stuff- Tripod Stand(Yes, you hear me!! No tripod) Snacks, Heavy backpacks, Books. Don’t get tempted by the shopkeepers near the gates of Taj. Once you enter, they keep you busy in talking while pocket cutters do their part. Don’t keep your bags in any shops even if they guarantee its safety. Rather Use the cloakroom inside Taj(On west and east gates only) Rs 10/bag or leave it in the hotel if you haven’t checked out. No need to buy shoe covers which the sellers try to sell to you. Inside the Taj, there is a free service for keeping your shoes safe. Don’t let any DSLR person click your picture just out of the blues. They will charge afterward. #Note2: Once you book a tempo for the day, the driver will try to command over you time to time by questioning about when will you leave?, which mode are you planning to take while leaving?, where do you want to eat? Etc. #Meaning to Note2: By all those questions, he means to take you to the places which are supposed to cost you more money than actual. Cause he has a commission to receive from each such customer he brings in. So never lose command over the driver! The place gets too crowded, so you have to make your compositions instantly. Visiting early you can get a better picture of the moon shining on the backdrop of the white dome. You can capture very good Architectural pictures and perspectives. Create abstract pictures with lines. Cause the symmetry is not so strictly maintained in the fort. The Taj Mahal can be seen from the fort. By the time you visit Agra Fort, the sun might have shone like hell. Hence you adjust your camera settings and the subjects as well. 1. 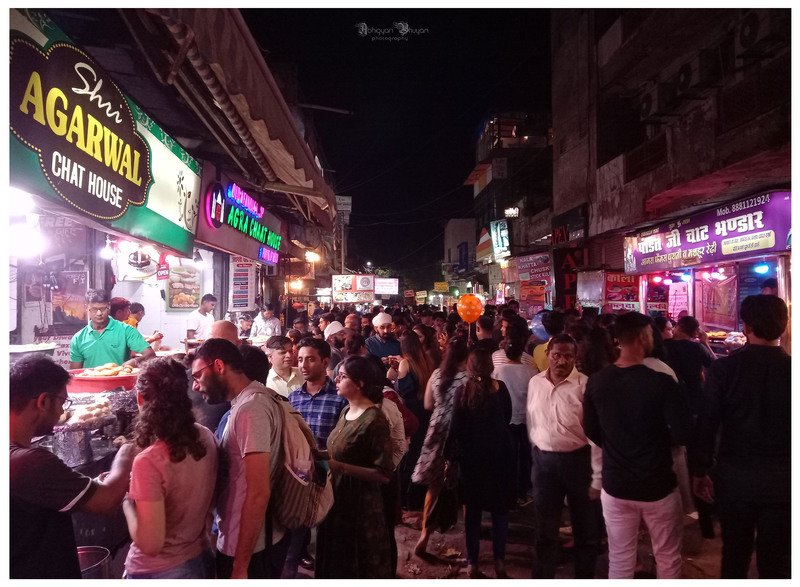 A walk through Sadar bazaar: To experience the city life a bit close, I suggest you go for a walk in Sadar Bazar in the evening. 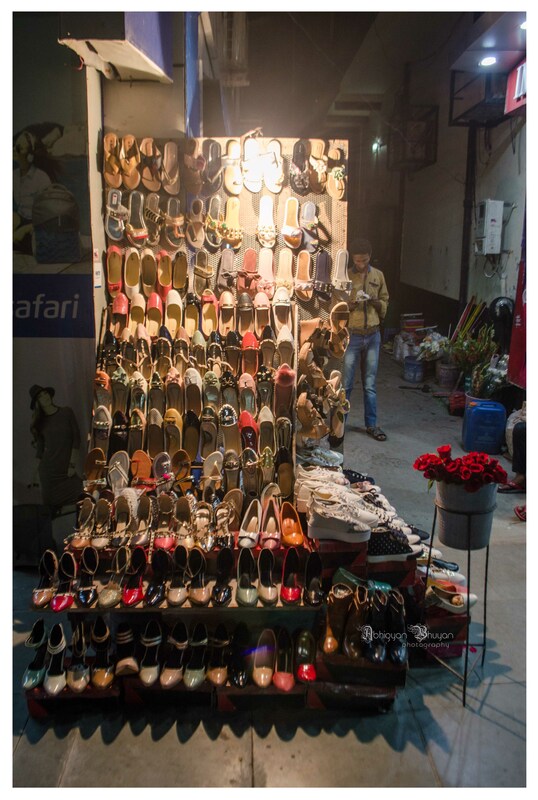 You can see numerous shops of leather shoes, chappals, and jackets for both men and women. Since I am not a shopaholic person, you want the least advice from me. Still, to add to your knowledge, the Agra-leader is quite famous, so if you have any knowledge of checking the genuineness of a leather product, then you are at the right place! 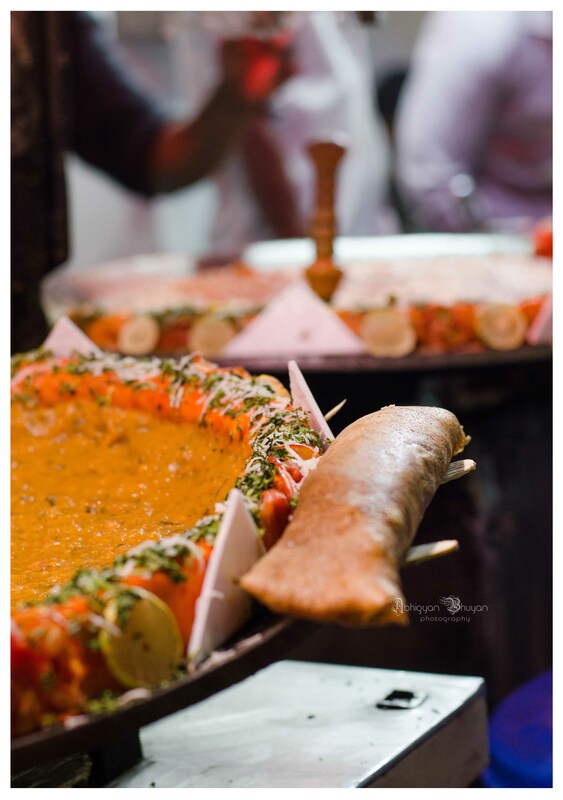 Also visit this chat wali Gali there to taste a few local cuisine and chats. 2. Petha of Agra: The petha is a famous sweet of Agra. You will find a variety of shops where you’ll find different flavors of this sweet. Since I’ve tasted petha in earlier times, I didn’t try this time. 3. Feed the squirrel: Yes, you hear me! The squirrels of Agra fort are extremely friendly. Take some crumbs of biscuit in hand and move forward. They make no hesitation in jumping on your hand. The guards at the gates don’t allow snacks inside though, you have to make some cunning moves. Good Luck!! 4. A visit to Sheroes Hangout: I bet a visit to this place will beg you an extra feather to your trip. It is a restaurant run by the Acid Attack Survivors. They say ‘Eat good, Do good and Pay what you wish’ and yes literally they have no price tags on their menu. You give whatever you wish! The masala chai that they offer is the best one I’ve tasted since my stay in North India. Apart from this, the people I’ve met there are the best souls ever. It is their vibe of accepting the life with such determination and heroism that they are not just a few people, they are an inspiration to many! All the harry potter fans, Watch this! The petha shops along with the Sadar Bazar road would be a great storytelling picture, There is a lot of happening going in and around. Go through the govt. website of Uttar Pradesh tourism or https://www.tajmahal.gov.in/index.html for actual facts and figures. Whether it is Agra or any other place that you wish to visit, always do a homework of what that place has to offer, what hatke activities you can do etc. etc. Surf for blog posts of different people. That way you get to know different perspectives from different people and have the liberty to choose the favorite ones. Don’t confine yourself only to the top search results that Google offers. Sometimes life pushes you to the extreme, but don’t just quit like that! You make every possible effort to survive and to strive to fulfil the thirst of contentment. The lessons thus learnt are the best ones ever! This blog is an effort on my part to put forward the experiences I’ve got over time and the insight of generally overlooked, though significant aspects of ‘life and matter’. Have a happy reading ahead!